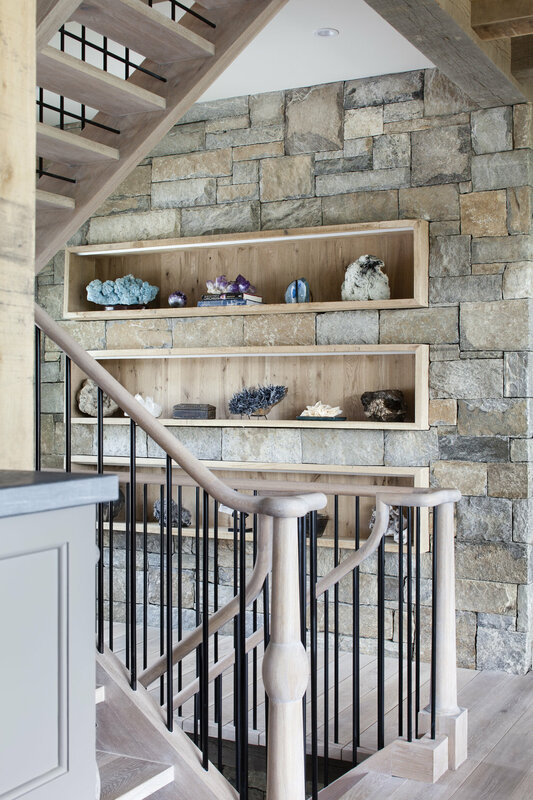 Beautiful white oak wall panels create the perfect backdrop to display a magnificent geode while custom recessed shelves create a space to show the rest of an impressive collection. 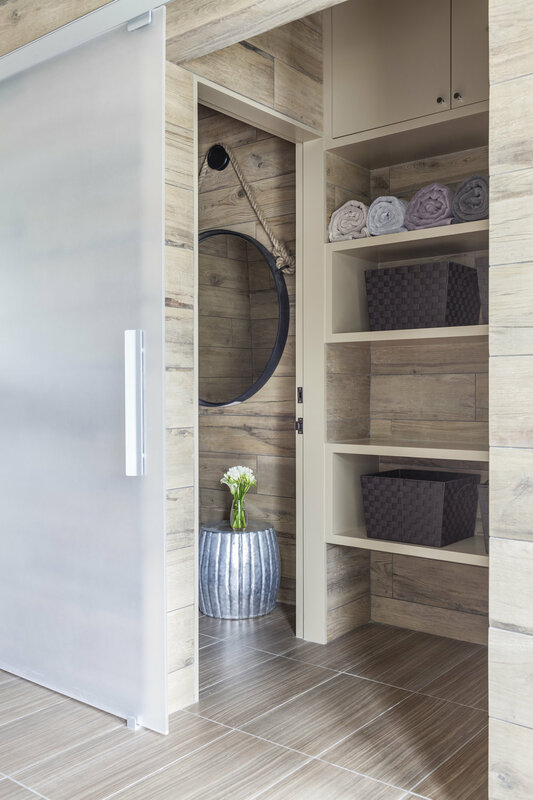 Other cabinets make use of every space without overcrowding. Solid white oak timbers were cut and joined on site to create a dramatic ceiling.